Earlier this month, the Philadelphia Fire Department stopped by Saint Barnabas’ Out-of-School Time (OST) program to talk children about fire safety. Children had the opportunity to tour the truck and presented their “heroes” with handmaid cards to thank them for their service. In addition, fire fighters sat at the lunch table while children enjoyed their favorite lunch: popcorn chicken with carrots, an apple, 100% fruit punch, milk, and garlic hummus. 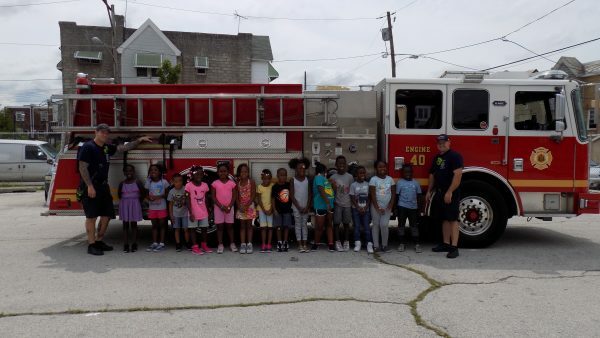 NDS and children from St. Barnabas’ OST program would like to thank Engine 40 for making lunch extra special!